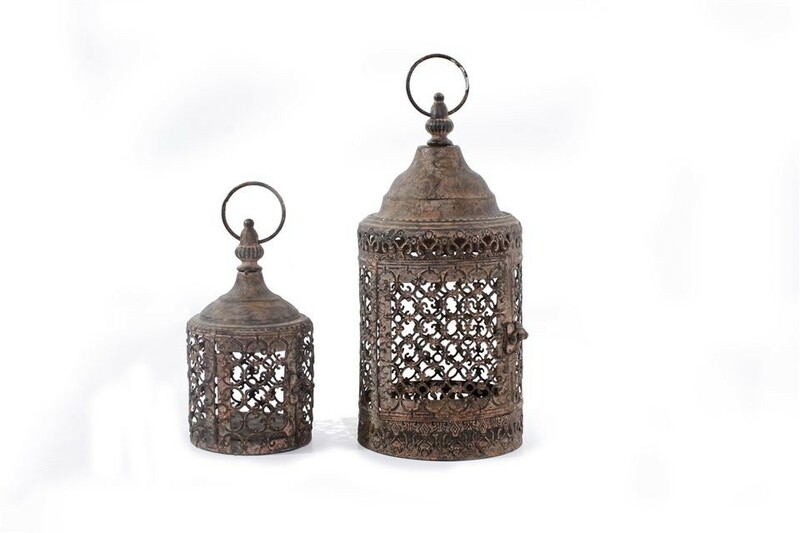 These charming rust effect Moorish Lanterns come as a set of 2. Display indoors or out for an authentic Moroccan inspired atmosphere. 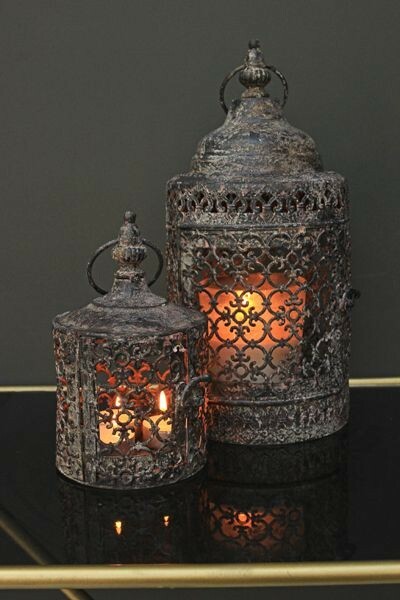 The Moorish Lanterns are metal with hinged doors and fit neatly inside each other for storage.